Calendar with availability of visits to the Alhambra in Granada. The best option to know deeply the wonderful and enigmatic Alhambra and the Generalife is, without a doubt, to visit it accompanied by an official expert guide, who will reveal to you all its fantastic history, mysteries and curiosities. To visit the Patio de los Leones, discover the Nasrid Palaces, marvel at the Partal, walk through the Patio de los Arrayanes, breathe the aroma in the Generalife gardens, admire the views of the city of Granada from the Torre de la Vela .. and much more, makes visiting the Alhambra a unique, wonderful and unforgettable experience. This calendar offers the different visits (tickets included) that we manage, thus facilitating the task of finding availability and ensuring the visit to enjoy this unique monument. 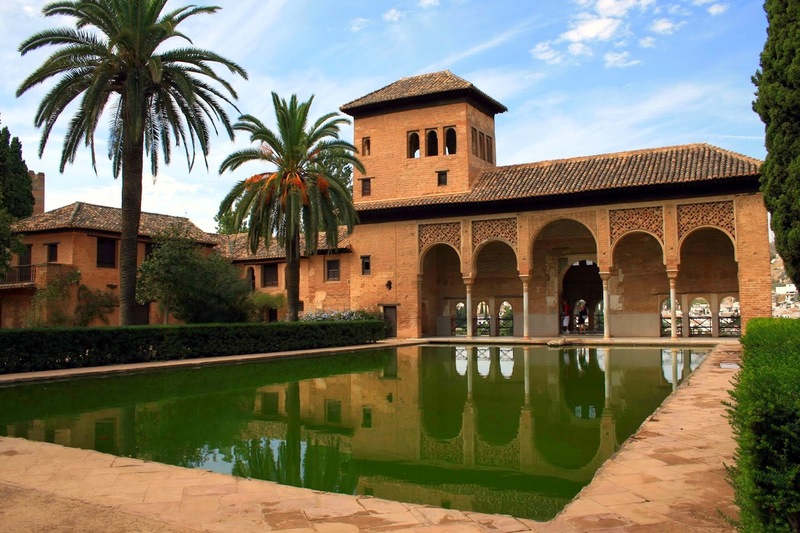 We have: VIP private visits, regular group tour, small groups, visits in different languages, with or without transfer from your hotel in the city; but all of our guided tours are to the entire monument of the Alhambra and the Generalife, including the Nasrid Palaces and the Court of the Lions. Check the day of your visit and choose the option that best suits your needs to confirm it online. The Alhambra is a amazing spectacle, a great journey through time, an intense and unrepeatable experience that the traveler should not miss while visiting Granada. A must to see at least once in a lifetime. It is declared a World Heritage Site by UNESCO since 1984.